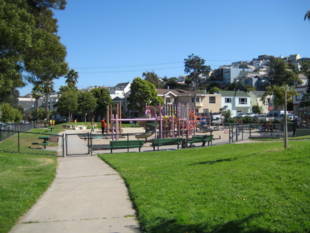 Occupying an area three city blocks long and one block wide in Bernal Heights, Precita Park is a good place for a game of catch or frisbee; however, the pristine playground is the real treat for visitors with kids. 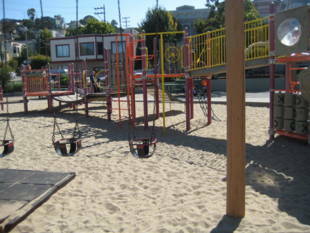 There is a colorful play structure and sand pit with plenty of benches around the perimeter of the playground (which is gated). If you're visiting Bernal Heights Park, you might as well visit Precita while you're in the area. Remember to clean up after your dogs so everyone can enjoy the park. 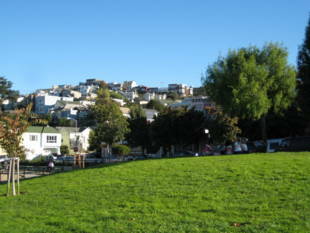 Precita Park is owned by the San Francisco Recreation and Park Department. 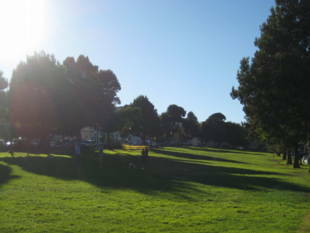 Click here to learn more about the Precita Valley Neighbors.